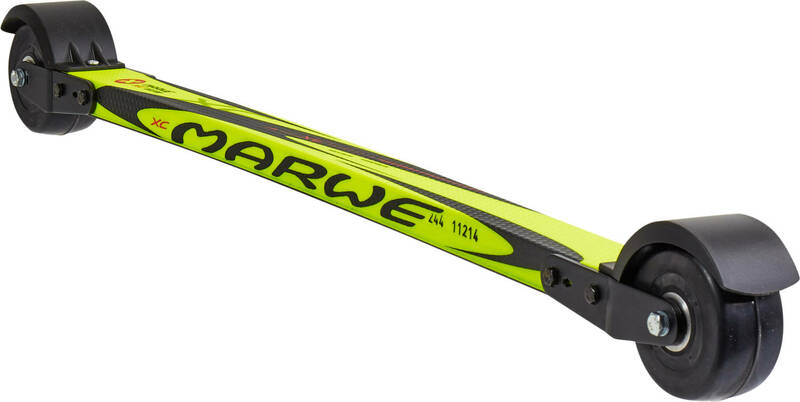 The 700 XC Stiff ski from Marwe is a great Roller Ski for Classic style skiing. Like other Marwe skis the snow-like feel of the ride makes them perfect for off season training all year round. These skis will provide you with a solid and demanding work out that is bound to show results in the upcoming winter seasons long treks on the trusted Cross country skis. The rubber on the wheels provide ample grip - Even in wet conditions. The ratchet bearings in the front wheels allow for classic style kick-back motion. 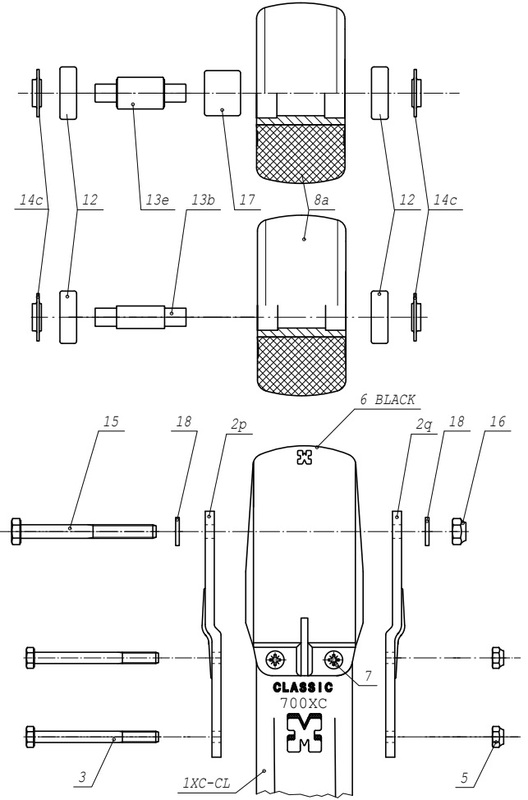 The wheels are wide at 40mm which will help provide stability and balance. 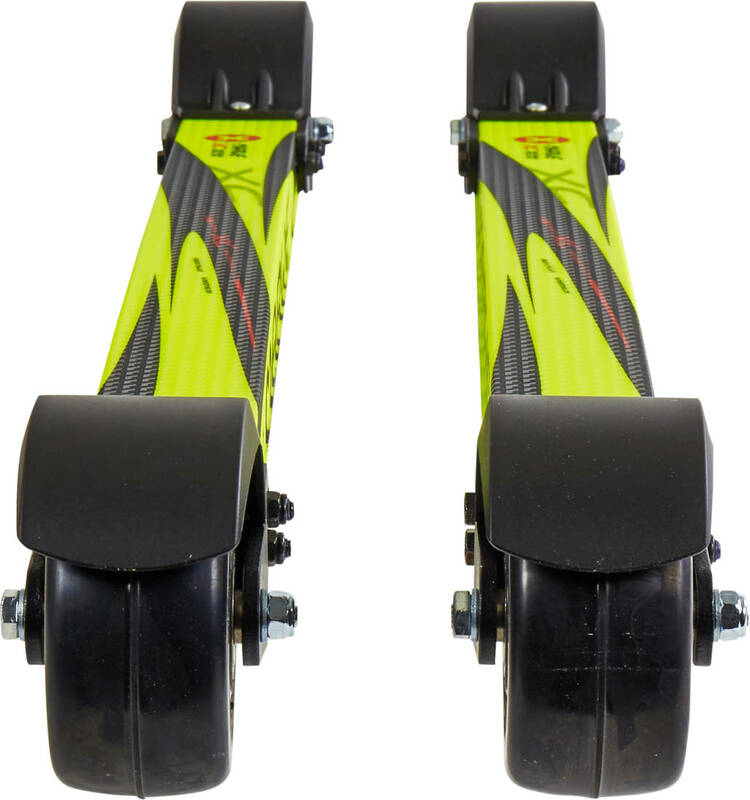 Mudflaps are installed to protect you and your skis from the elements. This Stiff version is best used by skiers that are strong, powerful and heavier. From between 180lbs and up to 220lbs.